People are more mobile today than ever before and the trend is only accelerating. Many companies already have mobile strategies in place and LinkedIn is the latest of these companies pushing for mobile adoption among its users. At the LinkedIn Talent Connect Vegas 2013 event, the company revealed that about 33%of its members already use the service from mobile. 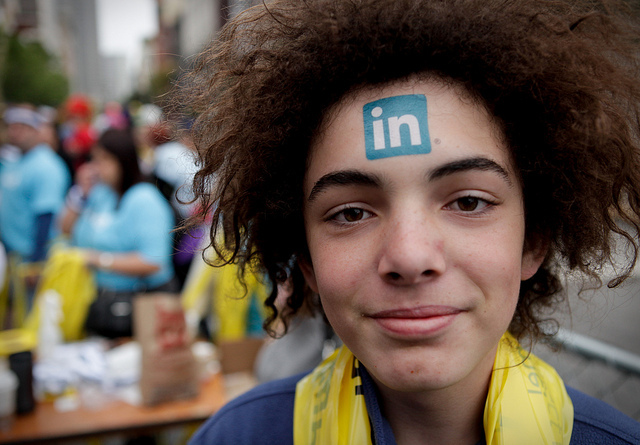 In addition, more than 30% of job views on LinkedIn come from mobile. What is even more interesting is the fact that half of the members who apply for a job on LinkedIn via mobile never do so again from their desktop. As a result of this great revolution towards mobile, LinkedIn has recently launched two products to further mobile candidates and recruiters, Mobile Work With Us and Recruiter Mobile. Mobile Work With Us is designed to help employees become brand ambassadors. One of its main features is that it lets recruiters showcase job openings on their employees’ profiles. The most popular activity on LinkedIn is viewing member profiles and Mobile Work With Us extends this capability to mobile by adding this feature. This new feature will especially be handy for passive candidates who don’t actively search for openings using the LinkedIn Search feature. It will not only drive lots of engagement but it will help extend the mobile footprint of a company’s talent brand. It is a great tool to own the ad space on an employee’s profile page with the ability to customize the ad content and grow a brand’s follower base while showcasing career opportunities that exist within. This is a new app from LinkedIn which is purposely built for recruiters to make their job easier. It offers a more productive and interactive interface to search and review potential hires, respond to candidates via InMails, and stay connected with updates on job applicants, reviews, and profile changes. Recruiters will also be able to save profiles of candidates to project folders, view team activity, and add notes. Recruiters using the LinkedIn Recruiter will also find the app handy since it allows them to reach out and respond quickly to candidates via InMail messages, text, email, or phone. Real-time alerts are pushed to your mobile ensuring you stay connected all the time. While the app is only available to iPhone users, it is also accessible from the mobile web browser at www.linkedIn.com/recruiter. According to LinkedIn, the push towards mobile is important for the company’s growth. Mobile users of LinkedIn are 2.5 times more active than users on desktops and with many countries already having over 50% of users doing this via mobile, having users and recruiters use the service on-the-go is key in pushing it to the next level.